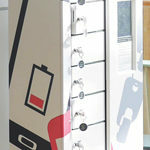 The use of lockers is growing in all aspects of everyday life, advancing manufacture to meet the demand of innovation. Be it mobile phone charge lockers or fully automated 24/7 parcel lockers, located anywhere, it’s all about consumer convenience. Quantum Controls Ltd are the 2016 Winner of the Prestigious Innovation and Excellence Award. The UK’s leading supplier of ABB Drives and Motors since 1994 and are an Official UK ABB Service Partner. Over recent years, Quantum have previously won 3 national awards for their innovative energy saving solutions provided to UK Industry. Victrex is further enhancing its ability to provide complete ‘integrated’ solutions following its acquisition of US-based polymer gears specialist Kleiss Gears.